I’ve done a few of these races, right? I mean, this is race 44, for crying out loud. You would think that I would have it all figured out by now. You would think that it’s all a simple routine to me, and that I could do these things blindfolded. Certainly I should be well beyond all of the silly rookie mistakes, right? Well… um… I’m afraid I’ll have to disappoint you. 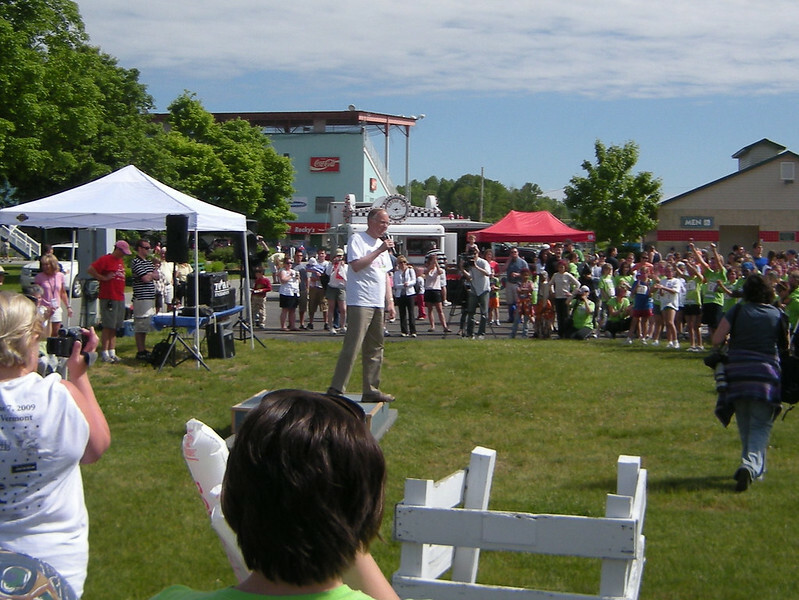 “Girls on the Run” is an organization here in Vermont which promotes exercise and healthy living for girls. This means that there were maybe a million little girls in green shirts hanging around. They looked like an army of leprachauns. And before you ask, yes they were all very cute. This was the only thing I did right all day. I was pretty excited about this race because it was so close to home. Just 5.6 miles from the apartment, in fact. I decided to show up maybe a half-hour before the Start. Once I got there, I made a mental note about going earlier the next time. I had to park way out on the other side of the Earth. The photo on the left is a look back at the parking lot, taken from maybe a third of the way to the expo. On the other hand, at least I was smart enough to tie my keys into my shoe laces this time. I remember all too well what happened the last time I trusted the waistband pocket of my running shorts. After I registered, I stuffed my race packet into a bush and walked out to where the crowd was. Once there, I found the Governor of Vermont sucking up to all the girls in the crowd. It was the usual pep talk. These girls were the future, they would be tomorrow’s leaders, and hey, maybe there’s a future Governor out here today! After a minute or so, he finished up and went back to whatever politicians do when not on CSPAN. Important Details Which Needed to be Heard. I am not listening to this. 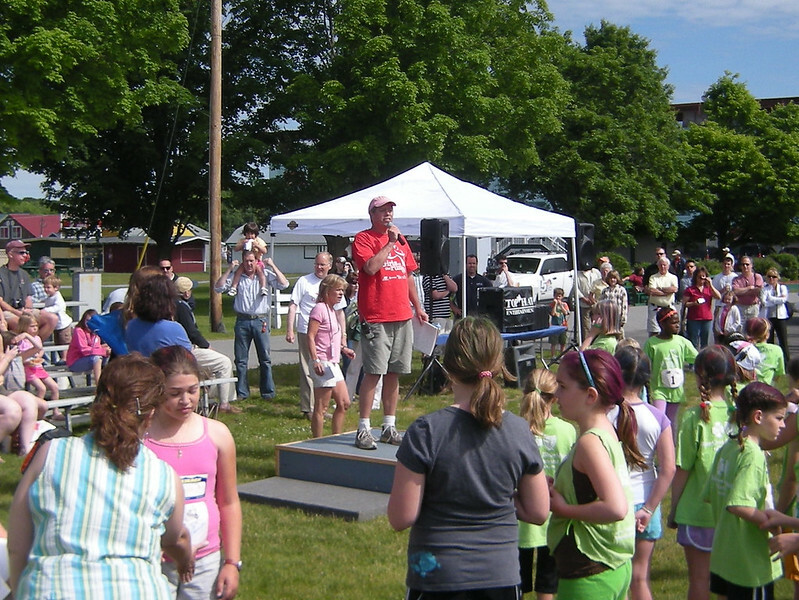 After the Governor was done, one of the volunteers took the stage to inform us about the course. I remember listening, and I even remember paying attention. Unfortunatly, this wasn’t my day for thinking. I guess I was distracted by the composition of the crowd. There were so many little girls, but not very many little boys. The adult population seemed to consist of mostly parents and relatives. I had to wonder how many people were there for the same reason I was. How many people came here just for the race itself? I mingled a bit and checked out some of the tables. They were mostly from Girls on the Run, with t-shirts and other merchandise for sale. 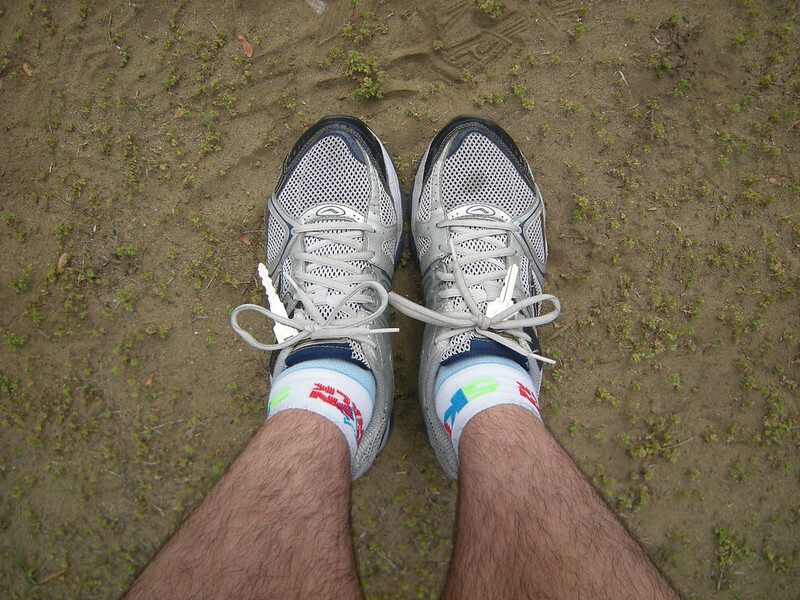 I looked around a bit for other adults who were dressed for a race, but they were a bit of a minority. The race’s website said that it was noncompetitive, so I wondered if there would be a clock at all. 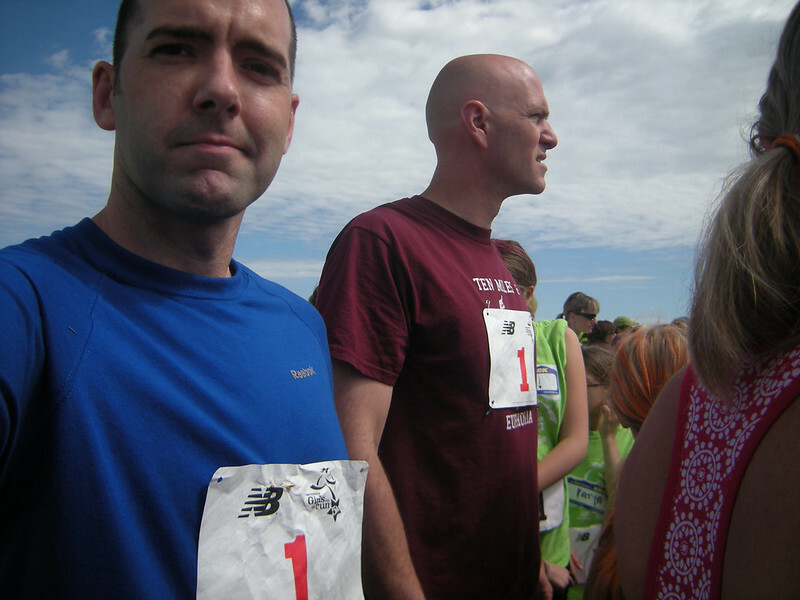 After we lined up at the Start, I finally realized that everyone had the same race number. Everyone was “Number 1” at this race. This pretty much killed any thought of a clock. I guess they didn’t want people to compare their placement in the event. Maybe it’s a self-esteem thing, I don’t know. What I do know is that I wasn’t wearing my number. WTF? How did I miss that? I ran back to the bush where my race packet was stored and hastily attached it to my shirt. I didn’t know it at the time, but I had only made my first mistake of the day. I wasn’t done yet. Not by a long shot. It was only a couple of minutes more before the race began, so I started my watch and moved out with the crowd. I spent a lot of time passing people. This wasn’t the kind of race I was used to. 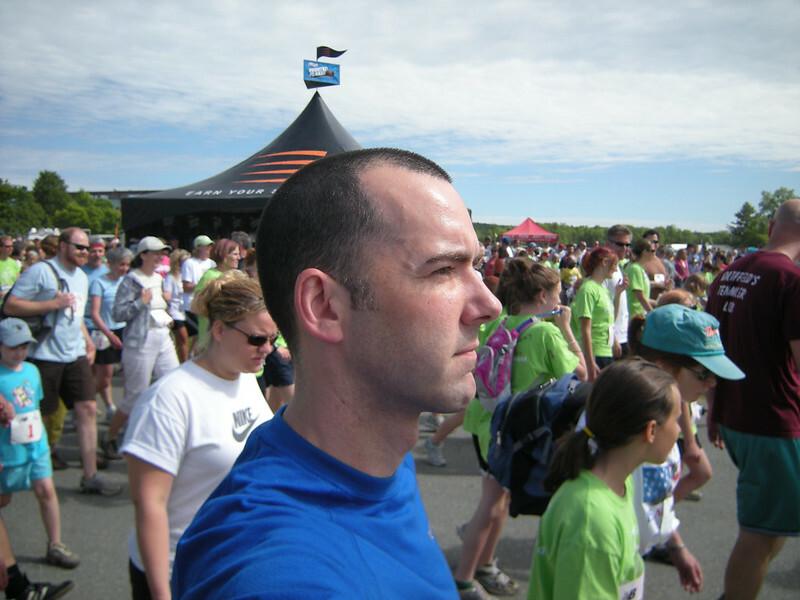 As the crowd became thinner, I reached a point where I had to pace myself against my memory rather than the other runners. Some of these kids have trained quite a bit, and they’re faster than a guy who has to train around two jobs. By the time things settled out, I was running with just one other person. It was a little girl who maintained maybe a fifty foot lead on me. People kept calling out to me from the sidelines. Some told me that I was getting beat by a girl… I guess I’m supposed to have some kind of macho reaction to that or something. Whatever. If she trained more then she’ll be faster. In fact, that kid needs to be on some kind of sports team. It was a bit weird staying on the course at this point, since we were basically running through the grounds of the Expo. There were arrows painted on the ground though, and people standing at the corners. There were plenty of signs to keep me on the track, but mostly I followed the kid. We caught up with the major crowd of walkers as we were finishing our second lap, so I lost the kid. I had to run a zig-zag path just to keep moving. Not only did I have to run around the slower people, but I had to dodge the random movements of children running in groups. That was a challenge, believe me. I ran under the big sign and stepped to the side so the crowd could continue on its second lap. In the video below, you can hear me cheering on the crowd. I hung out, retrieved my race packet, watched an old couple taking photos of the runners, talked to a lady who was waiting for her kid to finish, and just generally wasted some time. After a little while the crowd thinned out and I notice that people weren’t stopping. Surely everyone had done two laps by now? Then the old guy in the third photo below turned and asked me if this was the Finish Line. That’s when I realized that it wasn’t. The Finish Line was farther up and down a side path. They had pointed it out to us before the race, and it was visible from where I was standing. I had been warned ahead of time, I had printed out a map of the course the night before and I could actually see the Finish Line if I just looked in that general direction. Seriously, I can’t explain how I screwed this up. As near as I can tell, I thought I was done because I ran under something. Maybe the crowd confused me a little too, since they had to keep going after I finished. I’m still trying to figure it out, to be honest. This is a photo of me, looking like an idiot. Yes, I took this photo and failed to see the Finish Line. What could I do, really? I jumped back into the crowd and jogged up to the end. It was pretty sad. There was no point in running at top speed since I was so late. I was even carrying my race packed in my hand like some idiot jogging through a mall parking lot after shopping in an overpriced Sporting Goods store. As it turns out, there was indeed a clock, and the Finish Line was very professional. My final time was 48:52. Seriously. You can see my entire thought progression in the video below, complete with incorrect assumptions and embarrassment. It was a nice event, really. I was only disappointed because I screwed up. It’s a fun event for a nice cause, and I’ll certainly come back next year. Of course, next year I’ll finish the race properly.